The formal theory of bargaining originated with John Nash’s work in the early 1950s. In this book we discuss two recent developments in this theory. The first uses the tool of extensive games to construct theories of bargain- ing in which time is modeled explicitly. 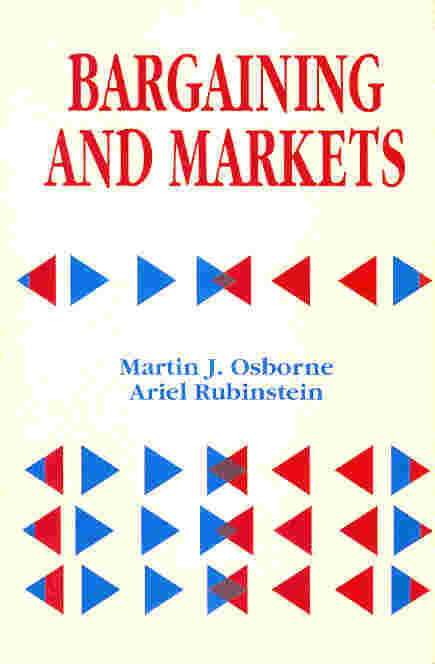 The second applies the theory of bargaining to the study of decentralized markets. We do not attempt to survey the field. Rather, we select a small number of models, each of which illustrates a key point. We take the approach that a thorough analysis of a few models is more rewarding than short discussions of many models. Some of our selections are arbitrary and could be replaced by other models that illustrate similar points.